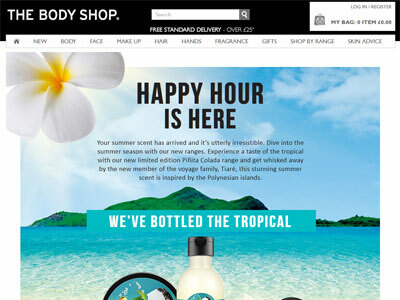 Piñita Colada Body Care by The Body Shop - A summer scent inspired by the Polynesian islands, this tropical scented collection of fragrance sprays, body butters, and shower gels, quenches your skin. An exotic blend of tiare flower, pineapple, and coconut, the Pinita Colada body care range leaves skin moisturized and smelling fruity and fresh. Launched in May 2016 and available at The Body Shop stores. Your summer scent has arrived and it's utterly irresistible. Dive into the summer season with our new ranges. 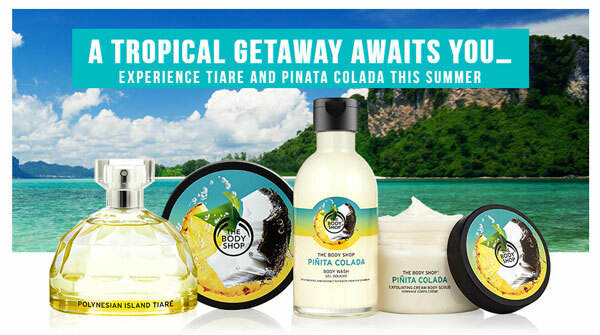 Experience a taste of the tropical with our new limited edition Piñita Colada range and get whisked away by the new member of the voyage family, Tiaré, this stunning summer scent is inspired by the Polynesian islands. 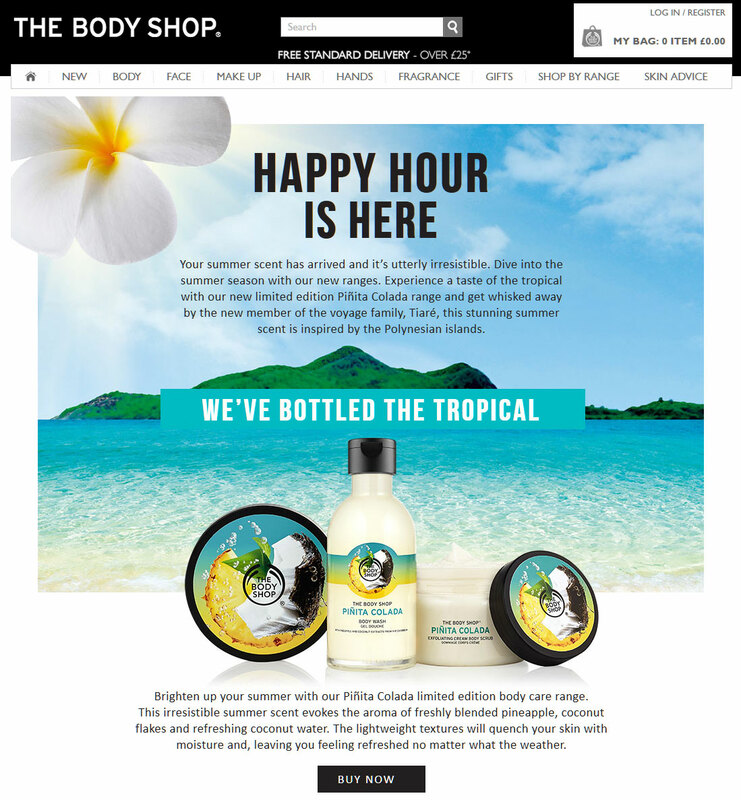 Brighten up your summer with our Pinita Colada limited edition body care range. This irresistible summer scent evokes the aroma of freshly blended pineapple, coconut flakes and refreshing coconut water. The lightweight textures will quench your skin with moisture and, leaving you feeling refreshed no matter what the weather. Come away with us to the Polynesian Islands this summer and surround yourself with the Summer scent, Polynesian Island Tiaré eau de toilette. The luminous blossoms of tiare are used by generations of Polynesian women to adorn the hair and perfume their sun kissed skin. We handpick the young buds before the morning dew to preserve the brightest, freshest, purest summer scent. Floral, warm and exotic.